This could be the biggest gathering of pilot cutters in the UK since the 19th Century when ports like Bristol and Falmouth were home to many pilot boats vying for the lucrative pilot trade. We have only just counted the pilot cutters coming and it looks like we have at least 12 on their way to the West Country for a record turnout. Eve, Annabel J, Pegasus, Amelie Rose, Mischief, Mascotte, Cornubia, Charmian, Kochi, Agnes, Hesper, Edith Gray. 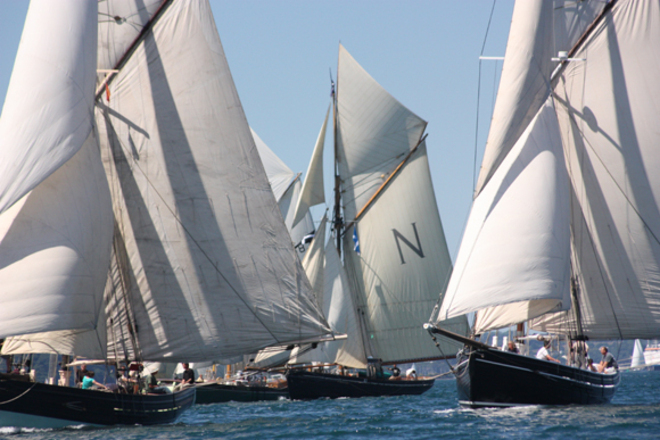 If you can't escape the office and join us as crew, why not come down to St Mawes at the weekend and watch the spectacle. St Mawes Bay creates a brilliant natural amphitheatre for watching the race start and finish, as well as great views of the whole course from the Castle headland.